The government has committed to supplying 40% of its electricity from renewable power by 2020. NOW Ireland argues the country could miss the target if the country fails to utilise its offshore wind potential. 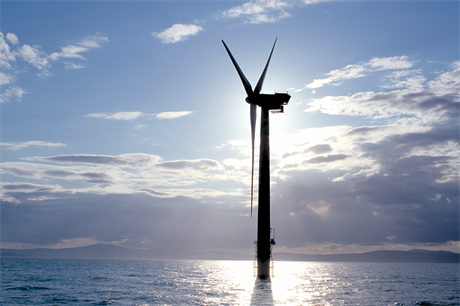 The association said there was 3GW of offshore wind potential is ready to be built in Irish waters. "Successive governments have placed all their eggs in the basket of onshore wind. If the Government's narrow focus fails to deliver, Ireland will face significant fines and the offshore wind industry, which could deliver the entire renewable energy shortfall for Ireland, will be locked out of the export market as well as the home market," said NOW Ireland secretary general Brian Britton. The warning comes ahead of the visit to Ireland of Maros Sefcovic, the European Commission's vice president of Energy Union. NOW Ireland said if the country fails to meet the 2020 targets, energy generators could be banned from exporting any renewable power to the rest of Europe. This would result in serious cost implications, the association warned. A report by the European Commission in October 2014, found only nine of the 27 participating European Union member states were expected to hit 2020 targets. The report was uncertain if Ireland would meet its objectives. Offshore wind in Ireland remains limited to the 25MW Arklow Bank project, commissioned back in June 2004. But in February 2014 the Irish government released a new offshore energy plan, setting targets for 2030 - a minimum of 800MW, a medium scenario of 2.3GW, and a high scenario of 4.5GW. The report emphasised the need for Ireland to streamline its consent structures and environmental impact assessments to speed up development and reduce costs.